AARHUS, Denmark — The journey to Valhalla is brutal and unforgiving. Many brave souls will suffer in the attempt. And that’s just the first 400 meters. 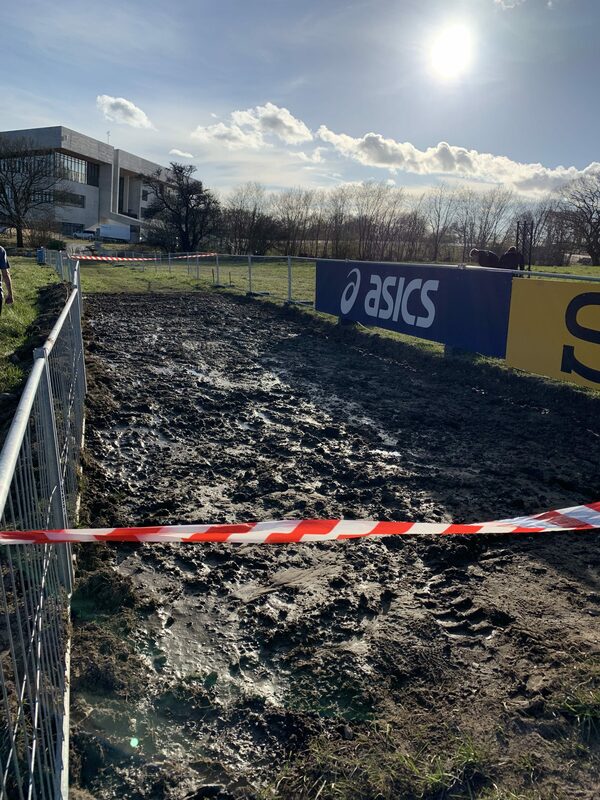 Welcome to the 2019 World Cross Country Championships — and the toughest course that we at LetsRun.com have ever seen. I thought I knew what I was in for when I spent 3,000 words last week detailing the revolutionary 10-kilometer course at the Moesgaard Museum. But nothing could have prepared me for what I saw today, when the course’s elevation profile morphed from mere lines on paper to brutal, lung-bursting hills. This thing is a beast. But don’t take my word for it. How about asking one of the greatest cross country runners the United States has ever produced, two-time NCAA XC champ and 2011 World XC bronze medalist Shalane Flanagan? 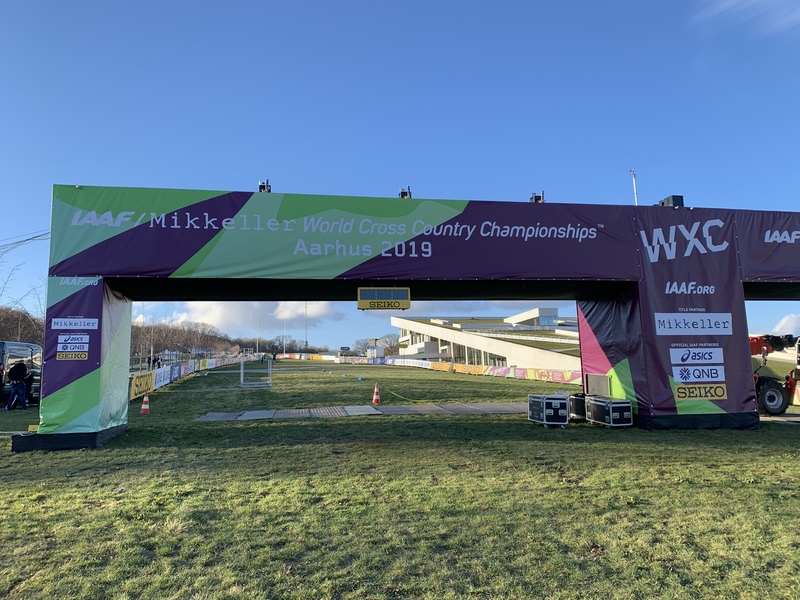 Today we ran the @Aarhus2019 course. @ShalaneFlanagan said “it was the hardest cross country course she’s ever seen.” Shalane said that. Let that sink in a little. The uphills are plentiful, beginning with the opening climb — the vertical gain of a seven-story building jammed into a scant quarter of a mile — and culminating with the brutal 10% grade on the roof of the Moesgaard Museum at the end of each two-kilometer loop. 10% doesn’t sound that steep, but it is (the hill at the start features a 5.6% grade) and again, you’ve got to see it to believe it. Even jogging up roof today was enough to get my heart beating through my chest. Run up this thing hard four times on race day and you may not make it through your fifth. That’s not a joke; I guarantee someone in the senior men’s or women’s races will be walking up this thing by the end. But again, don’t take my word for it. And the downhills don’t offer much of a respite. They’re all steep, and most of them consist of hard dirt, meaning that your quads are going to feel like they’ve run a marathon by the time this race is over. And they all come immediately after a climb, which means there’s no reprieve. If you try to catch your breath running down these hills, you’re going to get dropped by the guy next to you who’s using gravity to lengthen his stride into a sprint. This course is forcing me to reconsider the way I think about the elite races. It’s impossible to say exactly who will be affected, and to what degree — very few of these pros ever race on a course this tough, which means there are precious few data points to predict who it may benefit and who it may harm. But it’s hard to think that it won’t have some effect on the outcome. 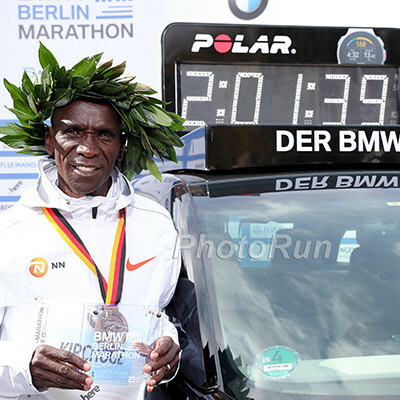 Perhaps Ugandans Stella Chesang (2015 World Mountain Running champion) and Joel Ayeko (2017 World Mountain Running silver medalist) will move up a few spots and challenge for the medals? One of the problem our sport faces is there are no fumbles, interceptions or fluke goals or hits so underdogs don’t normally stand a chance, but the hope is that this course can serve as an equalizer of sorts. 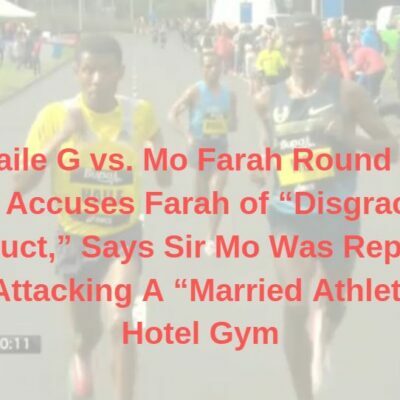 The good news is while challenging it’s not so far removed from the sport as to fall into the category of a gimmick or obstacle course. There are no walls to climb, no barbed-wire mud pits to navigate; it’s still running. 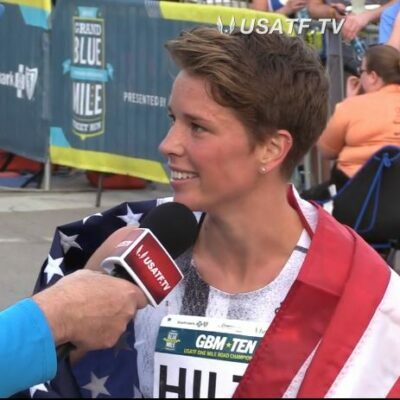 Too often, track races succumb to predictability. That’s what happens when every race is run on the same, uniform surface. You see who runs the fastest, and who kicks the hardest in the races over the summer, and you get a pretty good idea of who is going to win the Big One. 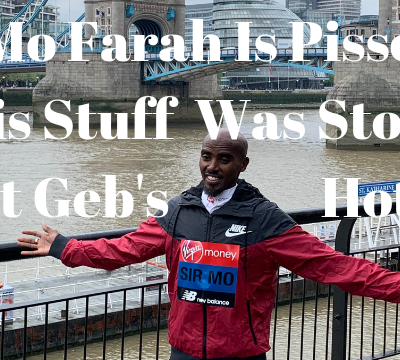 I lost track of the number of times I watched Mo Farah take the lead in a race over the last decade and think to myself, I know how this ends. I doubt that thought will be going through my mind when the gun goes off on Saturday. This course will test a different skill set than most of these athletes are used to. There’s no rhythm to be found, and managing one’s energy will be even more important than in years past. 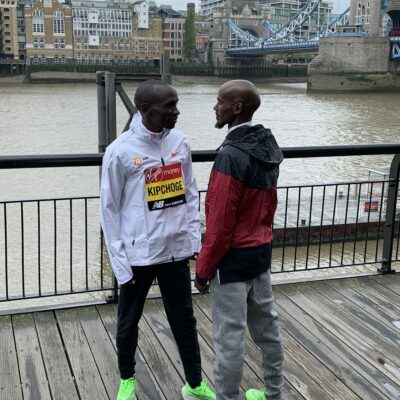 Two of the most famous races in World XC history saw a pair of studs — Kenenisa Bekele in 2007 and Joshua Cheptegei in 2017 — completely fall apart over the final mile as their bodies struggled to deal with the heat of Mombasa and Kampala. That lesson should prove instructive for those who want to master Aarhus; burn your energy too quickly on the first few loops and watch a bear jump on your back for the final two kilometers. By now I’m sure there’s someone out there who thinks I’m exaggerating. Those Americans run their cross country races on golf courses! The guys at LetsRun wouldn’t know real cross country if it bit them on the arse! Again, don’t take my word for it. 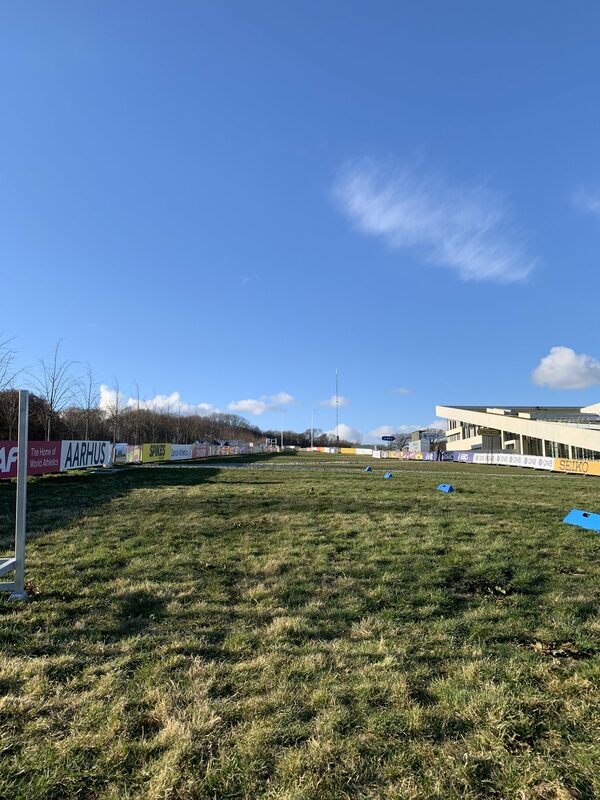 Here are the thoughts of Tim Hutchings, who earned World XC silver in 1984 and 1989 for Great Britain — the latter on one of the most brutal courses in the history of these championships in Stavanger, Norway. Now that I’ve hyped this baby up sufficiently, it’s finally time to show you the monster. It begins with the climb from the start to the Runner’s Valhalla, which encompasses the first 400 meters of the course. It’s mostly grass, with some sand laid down to cover the cobblestone paths leading to the Moesgaard Museum. It’s an incredibly tough way to start a cross country race. 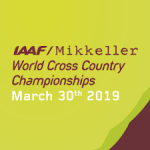 World XC is famous for its start, with some of the world’s best distance runners accelerating to a near-sprint to establish themselves at the front of the pack. But those sprinting at the start of this one could dig themselves into an oxygen debt from which they cannot recover. You’ve got to be careful, but with that said, the course does narrow out at the top of this hill as it winds right toward the Runner’s Valhalla. You don’t want to be totally buried and caught in a bottleneck, either. 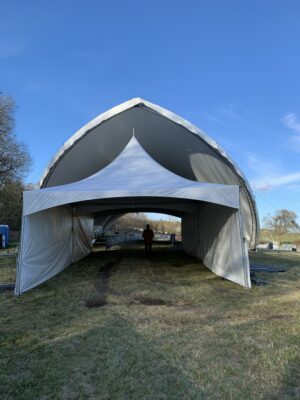 Navigate the initial uphill, hang a right, and you’re at the Runner’s Valhalla. It’s the second-highest point on the course, and the highest on the museum side, but the climb is worth it — for the spectators. 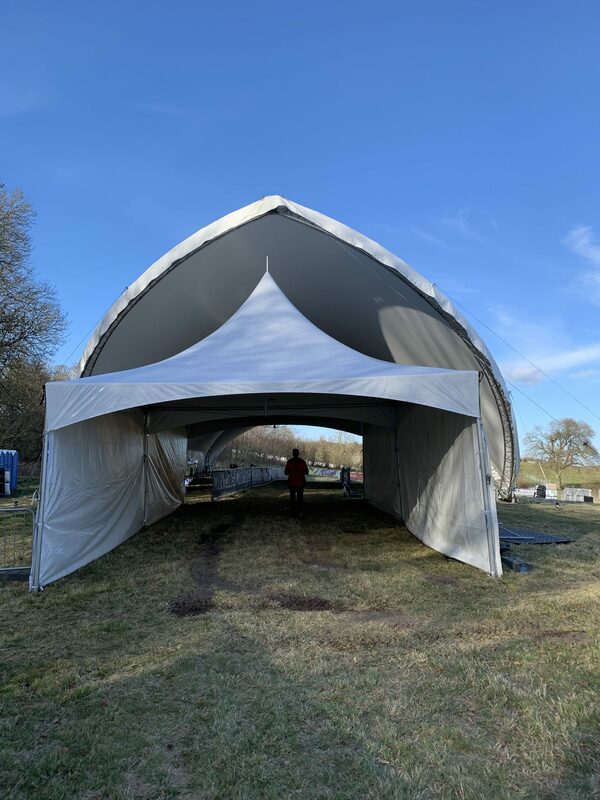 On race day, this 50×20-meter tent will be full of fans, with beer and food on sale and an up-close-and-personal view of all the races. Run through the Runner’s Valhalla, head slightly downhill and uphill again to the Club Zone — the high point of the course, where Denmark’s running clubs will be posted up — and then there’s 100 feet of descending over the next half mile until you reach the next major feature, the Water Splash. Unless they raise the water level on race day — it was a couple of inches deep when I ran through it today — this feature’s bark is worse than its bite. I ran through it in trainers and my feet didn’t even get wet, though obviously the runners will be more vulnerable in their spikes. 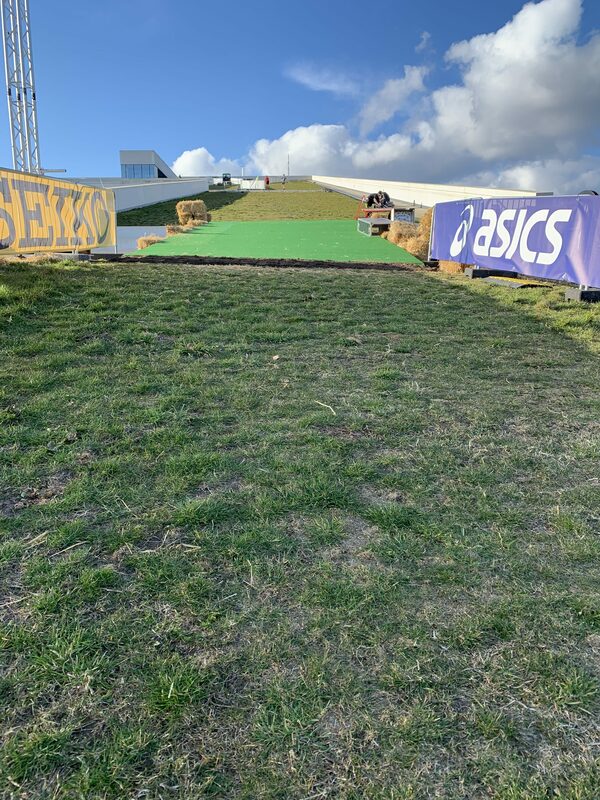 After a long downhill, this shouldn’t be too bad, and my only fear — that the runners’ spikes could get stuck in the mats below — probably won’t come to fruition. This is not a course where you are going to need long spikes (there is a mud pit, but it’s so tough that spike length won’t make much of a difference there) as the rest of the course is fairly dry and mostly hard-packed earth. So enjoy this and the great photos it is sure to produce. This is where things get tough again. Head back uphill from the Water Splash and toward the museum and you’ll be met by the mud pit — around 60 feet of the sloppy stuff. I didn’t actually get to run through it as it was taped off, but it looked good and squelchy today. 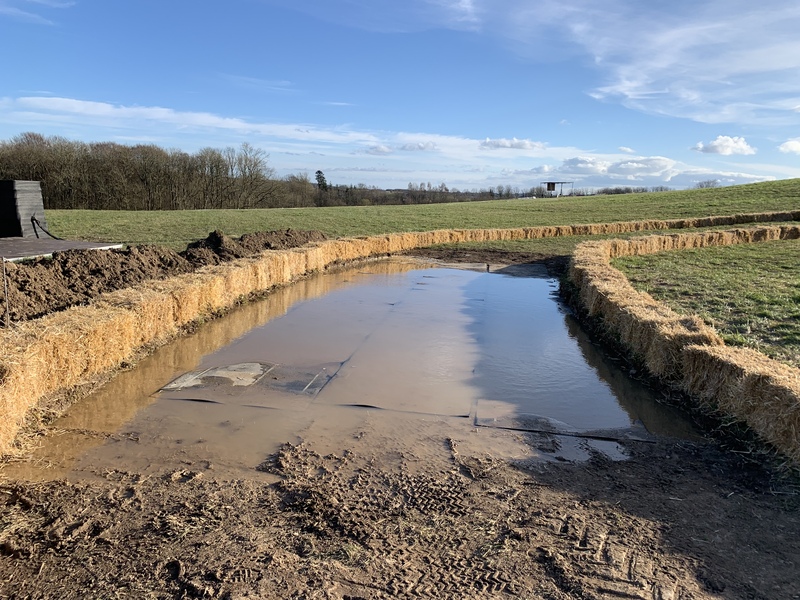 Even if it doesn’t rain again before the race — and there’s none in the forecast at the moment — this section will be totally torn up by the time the senior men make it through (five times) at 2 p.m. on Saturday. Pick your line, trust your stride, and hope for the best. 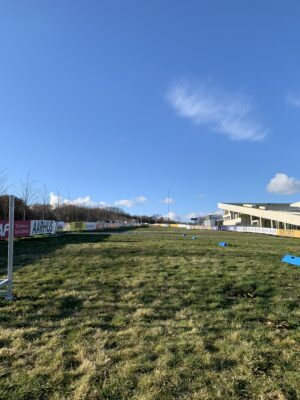 From the Mud Pit, the runners will continue straight toward the museum before heading downhill on the left to the Viking Zone, the lowest part of the entire course. 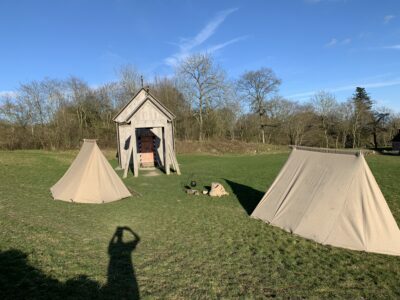 Here they’ll be met by 30 full-throated Viking warriors on race day, and they’ll need to capture some of that energy as the toughest part of the course — the climb up the Moesgaard Museum roof — is just around the corner. This monstrosity of a climb starts before the runners even reach the roof: first, they have to navigate a hairpin turn with uneven footing and climb about 25 feet. Then it’s another 125 meters of climbing at a 10% grade until the runners turn left and begin the descent. It’s incredibly tough, and thankfully for the runners, the climb doesn’t go all the way to the top; it stops about two-thirds of the way up. But this section, run five times over the course of the race, will be enough to fill any runner’s legs, lungs, arms, and mind with pain. Make it up the roof and there’s a beautiful view of the Bay of Aarhus off to the east. Too bad the runners won’t be able to enjoy it, as that view will be at their backs on race day. After running across the roof, the runners will descend to the bottom of the museum. Because it’s too steep to run straight down, the descent features an “S” turn to slow the runners’ speed. Even still, those who can succesfully regain their momentum after the grueling climb should really be able to get rolling on this portion — just make sure you’re in control when you hit the turns, as the footing here isn’t quite as solid as on the rest of the course. Reach the Berm, a curved incline at the bottom of the museum, and you’ve got only 60 meters to another loop (ugh…) or 200 meters until the finish (yay!). The final descent off the museum, massaged by the S turn, isn’t so steep that runners are liable to fly right over the Berm, but they’ll still be going quite fast as they make this hairpin turn. Should the runners be heading out for another loop, they’ll head through the Berm, up another hill (what else?) and rejoin the first climb of the course midway through (don’t worry, they still have another 60+ feet of climbing to reach the Runner’s Valhalla again). On the final loop, they’ll head through the Berm and up the short final climb before making another hairpin turn back toward the start (the start/finish is in the same spot). From that last hairpin turn, there’s 140 meters of downhill running until the finish, which means if the leaders can somehow make it through 10 kilometers of merciless hills (the senior course clocks in at exactly 10,240 meters total, per ace measurer David Katz), they will have a chance to unleash a massive kick. Talk about the course on our world famous messageboard / fan forum. 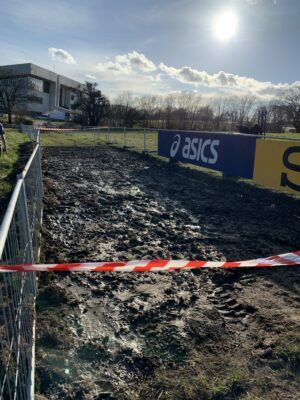 MB: Boots are on the ground at World XC – The course is LIVING UP TO THE HYPE AND GETTING RAVE REVIEWS .